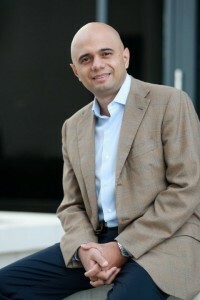 The Secretary of State for Business Innovation and Skills, Sajid Javid, launched proposals for productivity on Friday 11th July, in a Command Paper called “Fixing the Foundations”. The parts which got press coverage were the reforms to planning. In outline, the major changes are to adopt a zoning system for brownfield sites, under which sites on the statutory registers of brownfield land suitable for housing would have an automatic deemed planning permission; and to allow upward extensions in London up to the height of adjoining buildings, where neighbours do not object. This is coupled with allowing housing proposals to use the Nationally Significant Infrastructure Project process in the Planning Act 2008, a fast-track certificate to establish the principle of minor development proposals and a dispute resolution process for s.106 agreements. There will also be a tightening of the planning performance regime. The local plan process and length will be streamlined and the Secretary of State will intervene to write local plans where local planning authorities do not meet a deadline, to be set before the summer recess, for plans to be put in place. It is interesting that the paper recites the removal of the “top down regional strategies”, putting “local authorities at the forefront of deciding how to meet the need for housing through their local plans”. Yet this manifestation of localism is having to yield to reality, with the Government having to force authorities to get on with the job. But it is a sad turn of events that leads us to abandon, in the case of brownfield sites, our well developed case by case planning system, in favour of a presumption that they are suitable for housing. The trouble with the well developed system is that for twenty years from 1990 it was not under-pinned by the presumption in favour of development that accompanied the existence of planning controls for the previous eighty years. The legacy of those twenty years, notwithstanding George Osborne’s announcement in the 2011 Budget of a presumption in favour of sustainable development, is a culture of control rather than enablement. Fixing the Foundations describes it like this: “Previous studies have found that the country’s planning system –where development proposals require individual planning permission and are subject to detailed and discretionary scrutiny –can create the sort of “slow, expensive and uncertain process” that reduces the appetite to build.” Government is now committed to removing all unnecessary obstacles to the redevelopment of brownfield land, “including these sorts of planning obstacles”. It is obvious that other aspects of the proposals challenge localism to its core. Authorities without local plans will find they are written for them, by the Secretary of State. The NSIP process, where the decision is taken by the Secretary of State, and practically everything is done in writing with minimal opportunities for public hearings, will be available to housing. Will the Conservative party actually stand for this in the long run? 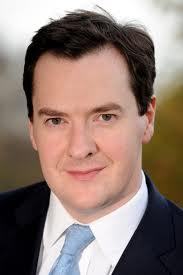 Just as George Osborne rediscovered the presumption in favour of development, last in favour during Mrs Thatcher’s Government, and used to great effect by Nicholas Ridley, the then Secretary of State with responsibility for planning, will he also rediscover the Conservative voter’s aversion to being told what to do by central government? The Thatcher/Ridley approach led to a lot of development, sometimes at odds with rather long in the tooth local plans. But it was at Foxley Wood, a proposal for a new town at Bramshill Plantation near Reading that it met its nemesis. Chris Patten, by then Secretary of State in place of Nicholas Ridley, refused permission, finding that he was at odds with the local somewhat Conservative electorate. This led eventually to the s.54A duty to take decisions in accordance with the local plan unless material considerations indicated otherwise. Will this pattern repeat itself? The reaction to Sir Howard Davies’ Airports Commission report into where to site the next runway in the South East is not encouraging. On the day the report was published – 1st July 2015 – recommending a third runway at Heathrow, the Prime Minister, who some years ago rejected that idea but set up the Commission, announced that a decision would be taken by the end of the year, clearly signalling that the Government is willing to overrule the Commission’s recommendations, which have cost £20 million and taken two and half years’ work. (figures from The Times online, 1st July 2015). It is probably significant that the lead on planning policy is, under this and the previous government, to be found at the Treasury and BIS. 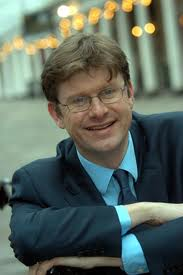 But the question is will the current Secretary of State with responsibility for planning decisions, Greg Clarke, turn out to be a Ridley or a Patten? Here is a link to Fixing the Foundations. It is a little-remarked fact that s.54A (in its current guise as s.38(6) of PCPA 2004) does not apply to decisions on nationally-significant infrastructure projects, for which the development plan is merely a material consideration. One unintended (or Treasury-intended?) consequence of the relentless extension of the NSIP regime (now apparently to include non-ancillary housing of up to 500 units somewhere vaguely near a new or modified railway or road) is to downgrade the development plan in housing decisions without anybody noticing….